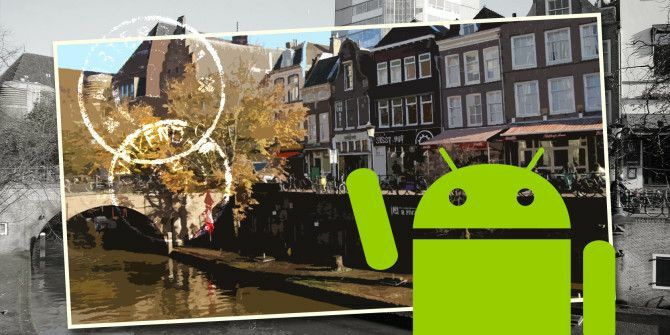 We’ve covered the best apps for people who like to travel 11 Android Apps You Need for Traveling the World 11 Android Apps You Need for Traveling the World If you're going to be travelling anytime soon, you need these apps. Read More , but what about if you actually live abroad permanently? If you’re one of the estimated 9 million Americans or 40 million Europeans who choose to live outside of their country of birth, technology can be a great help. Whether it’s looking for things to do, helping you understand your adopted country’s customs, or teaching you the language Learn a New Language Just by Browsing the Web in Chrome Learn a New Language Just by Browsing the Web in Chrome This extension makes it easy to pick up new language vocabulary without any effort on your part. Read More – there is an app out there for everyone. But which apps are absolutely essential for helping you lead an expat lifestyle? Here are our top 8 picks. Whether you’re moving to a new country for personal or business reasons, there is no getting around the minefield of securing the right visa. Online information is often conflicting, countries change their rules as often as the weather, and the number of visas on offer is eye-watering. Travisa can help. The app offers up-to-date visa information for more than 200 countries, lists all the administration and consular fees, and also includes passport services information. The biggest drawback is that it only provides information for residents of the United States, Canada, and the United Kingdom. From visas to rental contracts and from insurance documents to employment contracts, moving to a new country involves an awful lot of paperwork. Save yourself some money on paper and printer ink by downloading DocuSign. You just need to import the document into the app (from email, cloud storage, or productivity apps like Evernote The Best Productivity Tool Is The One You Actually Use The Best Productivity Tool Is The One You Actually Use In a world chasing productivity, each new and shiny productivity app promises something new. But do we lose something when we change our productivity apps too often? Read More ), add your signature (along with any other required text), and send it on its way. The app itself is the most widely used eSignature platform 3 Ways to Electronically Sign Documents 3 Ways to Electronically Sign Documents Paperwork doesn't have to be a chore, if it can be handled swiftly and efficiently. In the case of signing documents, it usually isn’t. It’s a hopelessly convoluted process, all for getting a single squiggly... Read More in the world and is supported in 188 countries. One of the hardest parts of those first few months of being an expat is developing your social circle. Your senses are already being overloaded with new sights, sounds, and smells – sometimes it can be daunting to drag yourself out of your home and mingle with new people. Nearify will give you some great reasons to get out there and meet people. It covers more than 200 cities worldwide (including all of the most popular expat destinations such as New York, London, Amsterdam, Barcelona, Singapore, and Hong Kong) and lists more than 20 million events. It covers a broad spectrum of event types – such as concerts, film festivals, magic shows, and stand-up comedy – and allows you to personalize your settings so you’ll only see the things that are of interest to you. Becoming an expat can be difficult – but it also comes with a whole host of benefits. For many people, one of the greatest benefits is sampling the local cuisine. 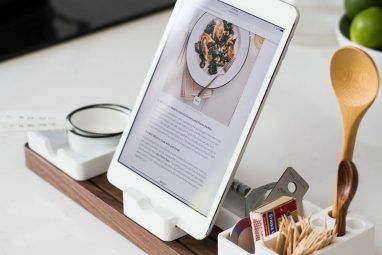 But when you get off the plane in your new location, how can you find the best places to eat TheTable Is A Slick New App That Finds Excellent Places To Eat TheTable Is A Slick New App That Finds Excellent Places To Eat Restaurant-finding apps are a dime a dozen. They do a great job with the smaller places, they might disappoint when you're looking for that really good place. Read More ? Restaurant Finder has the answers. The developer claims the apps works worldwide, but it specializes in the United States, UK, Ireland, Canada, Germany, Italy, France, Spain, Denmark, India, Australia, Brazil, Malaysia, and Thailand. The app can show you nearby eateries or can help you find a restaurant via search. It will give you opening hours, reviews, phone numbers, and menus. Time Out is another great app for learning about what’s going on in your new city. It’ll help you find places to eat, drink, and party – as well as alerting you to nearby events that fit your interests. Best of all, it’ll even let you create a personalized travel guide. At the moment the app is only available in 30 cities worldwide – but lots of the most popular expat cities are included. If you don’t live in one of the supported locations, try checking out their website instead. Another unfortunate reality of moving to a foreign land is that you’re highly likely to get ill. It could be a change in diet, different minerals in the drinking water, or simply a “local” disease that your body hasn’t developed an immunity to. The last thing you need when you’re feeling sick is to be worrying about where the nearest doctor or pharmacy is. Doctoralia removes that worry by letting you search nearby health facilities. It allows you to build a list of favorites, and in some cases, even book appointments. It works in 21 countries, including all of North America, most of Western Europe, and most of South America. 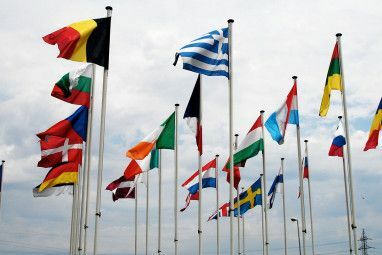 Of course, lots of apprehension about being an expat can be dispelled by one simple trick – learning the local language Master a Second Language For Free In Bite-Sized Nuggets With Duolingo For Android Master a Second Language For Free In Bite-Sized Nuggets With Duolingo For Android Mastering a foreign language can change your life. It can open the door for a new career, or even a new country, not to mention an entire culture you would now be able to enjoy... Read More . If you live in a Northern European country, you might be able to get by with using English everywhere, but you’ll be limiting your potential experience immensely. No app can truly replace getting lessons from a language teacher, but they can give you a great foundation to build on. If you really persevere, you can certainly learn enough to discuss most day-to-day occurrences. With Duolingo you can learn English, Spanish, French, German, Italian, Portuguese, Dutch, Irish, Danish, Swedish, Russian, Ukrainian, Esperanto, Polish, and Turkish. The app strengthens your speaking, reading, listening, and writing skills using real-life situations as the basis for teaching. There might eventually come a time when it all gets too much and you need to let off some steam in the direction of the nearest local. Swearport is the solution. All you need to do is select your language, choose your curse of choice, and the app will play an audible recording of a native speaker reading the phrase in question. More than 70 languages and 1,000 curses are supported. That sounds pretty basic, but the app actually goes much deeper. For example, it includes details about pronunciation, the English language equivalent, the curse’s meaning, and an “intensity rating” out of five. Are you a current or former expat? If so, which apps do you rely on to get through the ups and downs of leading an international lifestyle? Would you recommend any of our choices, or do you think there are better options available? As ever, we’d love to hear from you. You can let us know your thoughts and opinions in the comments section below. Explore more about: Food, Language Learning.